Blockchain applications are being widely adopted by many businesses around the world and it is about time that we embrace it with open arms, considering the potential of the decentralization and the kind of impact it is going to have around the world. Blockchain technology allows enterprises around the world and individuals to agree on the true state of a data set without reliance on a costly intermediary. Blockchains are indeed a genius invention by an anonymous person called Satoshi Nakamoto who wanted a decentralized ledger for recording Bitcoin transactions. The whole saga began in 2008 and there is no stopping the bandwagon since then. The purpose evolved from a mere digital ledger to contracts, notary and much more and the demand for blockchain developers shot up. Let us see the role of blockchain in cyber security. Blockchains are digital ledgers that are programmed to record anything of value like transactions, agreements, and contracts. Instead of being stored centrally as in case of a traditional ledger, the blockchains are absolutely decentralized with the data being stored across hundreds of computers situated geographically apart that are the part of the network. All the transactions and any kind of modification of data in a blockchain will take place with the mutual consensus of the members in the network. Hence, the data stored in blockchain networks are impossible to be corrupted. The data stored in the blocks in a blockchain network is hosted by millions of computers that are geographically separated in a simultaneous manner and is accessible to anyone on the network. Being fully public and easily verifiable, the blockchains are regarded as the most secure form of data records. The concept of blockchains was initially introduced in 2008 by Satoshi Nakamoto for solving the double spending problems associated with cryptocurrency. It took over everything from the ways the contracts are executed ( Smart Contracts) to the notary and much more in the due course of time. Today, companies like IBM, Samsung, and some car manufacturers are ushering in an era of revolution in technology with blockchain application development. A programmer who develops blockchain applications is called a blockchain developer. Blockchain development is heavily dependent on computer programming and the programmer needs to be well versed in programming languages like Python, C++ etc to become an efficient blockchain developer. How does Blockchain enhance cybersecurity? With the advent of blockchain in cyber security, businesses can now authenticate devices and users without the conventional method of passwords.. This will eliminate human intervention of any sorts from the process of authentication. This will avoid it from becoming a loophole for a potential attack. The greatest weakness of traditional systems is the utilization of a centralized architecture and simple logins. The employees and customers use passwords that are simple and easy to remember. If they continue doing this, the security of the organization will be in lapse no matter how much money the organization will invest in this matter. This is because the passwords have every chance of getting stolen or guessed. Blockchain technology provides a strong authentication as well as the resolution of a single point of attack simultaneously. With the help of blockchain technology, the security system employed in an organization can make use of a distributed public key infrastructure for authentication of devices and users. This security system will assign each device with a specific SSL certificate instead of a normal password. 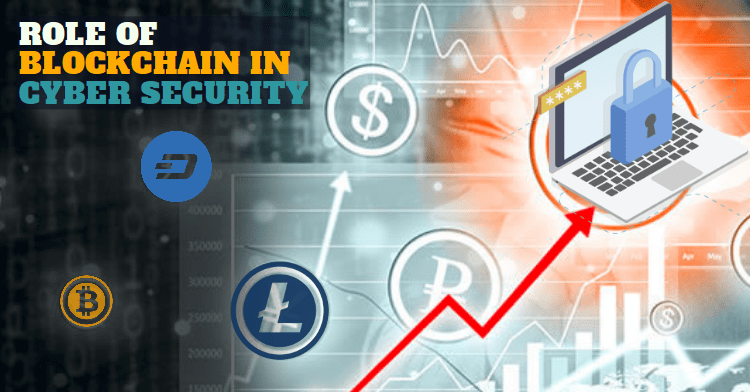 The management of certificate data is done on the blockchain and thereby making it virtually impossible for attackers to utilize fake certificates for breaking into the network. Blockchain users have the provision to maintain their data on their computer in their network. By doing so, they will make sure that the chain won’t collapse. For example, if someone who is not the rightful owner of a component of data attempts to tamper with a particular block, the entire system will examine each and every data block in the blockchain to locate the one that differs from the rest. If this type of block is located by the system, it simply excludes that particular block from the chain, recognizing it as a false one. The design of the Blockchain is done in such a way that there is no storage location or a particular central authority to overlook the network. On the blockchain network, every user has a role to play in storing some or all the blockchain. Each member in the blockchain network is responsible for verifying the data on the network to ensure that the existing data cannot be removed from it and false data cannot be added to it. Every transaction that is added to a private or public blockchain is time-stamped and signed digitally. This facility ensures that companies can trace back to a particular time period for every transaction and locate the corresponding party on the blockchain with the help of their public address. This feature brings forth a relationship to non-repudiation: there is an assurance that someone can’t verify the authenticity of their signature on a file. This particular functionality of the blockchain will increase the system’s reliability since every transaction is linked cryptographically to a user. Any new transaction that is added to a blockchain result in the transformation of the global state of the ledger. This implies that the previous state will be stored resulting in a history log with the system’s every new iteration and this will be completely untraceable. The companies get a sense of security and transparency over every iteration with the audit capability of the blockchain. From the point of view of cybersecurity, entities get an additional level of reassurance that the data is authentic and has not been tampered. If the participating units are impeded from sending transactions, blockchain transactions can be denied easily. A DDoS attack on a set of entities or even an entity can disrupt the entire attendant infrastructure and the blockchain organization. These kinds of attacks will bring about the risk of integrity issues to the blockchain network. In today’s scenario, there is a difficulty in impeding the attacks due to DDoS. this comes from the existing Domain Name System. By implementation blockchain technology, it would completely decentralize the DNS, distribute the contents to more number of nodes and thereby make it almost impossible for cyber-attackers to break through and hack. We can ensure that a system is not vulnerable to hackers by using blockchain technology to safeguard data. Data will only become vulnerable if and only if every single node is wiped clean at the same point of time. Blockchains mitigate the risk of human error significantly by removing the element of human intervention from data storage. This is important since a large number of security breaches occur from human intervention.The Bitcoin blockchain remains successfully safe from any kind of hacking since its inception in 2008. When the configuration remains prim and proper and when it is distributed properly, a blockchain can safeguard data of all kinds and for all industries. The blockchain is a highly effective way of storing, sending, and encrypting critical data and monitoring, in real time, who accesses it and how. If you want to develop blockchain application for cybersecurity, contact Cryptosoftwares today.